One of the most popular preschoolers shows on Treehouse is Ranger Rob. Adventures of Rob and his friends Stomper, Chipper, Dakota and Sam became children's favorite. Ranger Rob Show is all about nature, adventures, exploration and discovery in Big Sky Park, the coolest natural park ever. The park is one-of-a-kind destination with multiple climates and terrains. Each region of the park has unique natural wonders and animals to discover. Full of energy, Rob zip-lines, swings and even snowboards his way around the park, from Forest Region to Frosty Fields and from Jungle to Desert. Each episode of the show presents the wonder of the outdoor and teaches kids about plants, trees, animals, how to respect nature and protect our green planet. On Earth Day we shared some easy but essential tips from Ranger Rob and hope kids use them in everyday life. To celebrate the power of nature, Ranger Rob and his friends are excited to join little ones on their adventures indoor and outdoor with new toys, books, DVDs and activity kits. These products are now available on shelves of ToysRUs Canada and Amazon.ca. We had a chance to play with some of toys and our little one really liked them. 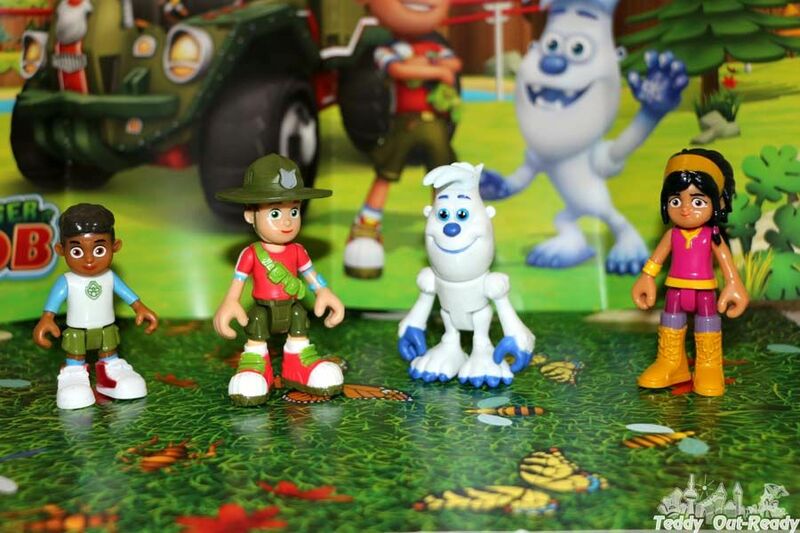 Ranger Rob and Friends is a set of toys that include small figurines of Rob, Stomper, Chipper, Dakota and Sam. The series encourages kids to spend more time outside, explore the nature. 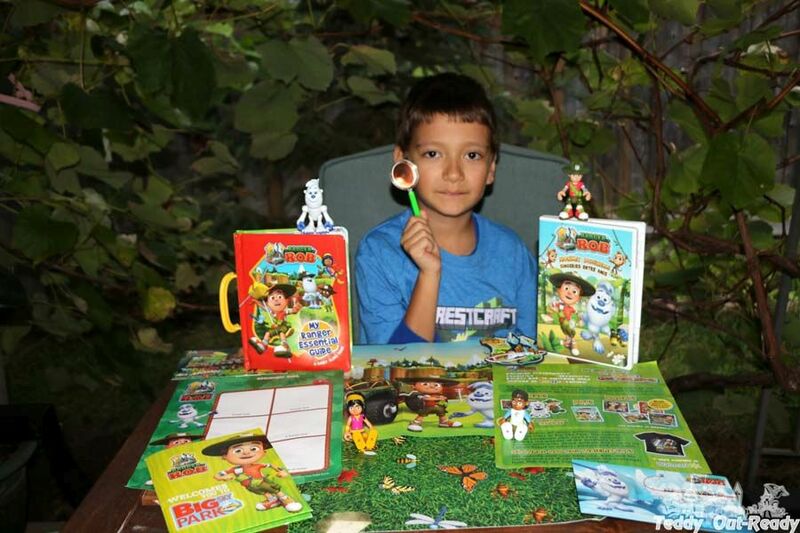 Now children can take their favorite characters and play outdoor with Ranger Rob and friends. Adventurous Ranger Rob, friendly yeti Stomper, swinging sidekick Dakota and youngster Sam will be happy to join children's journey. Since these are posable figurines, kids can play pretend games and have fun together with new friends. Ranger Rob: My Essential Ranger Guide: A Carry Along Book is a nice book to teach kids to become a ranger with Ranger Rob. Each page presents essential tips and stories to help little ones to explore the nature and protect the environment, help the ones in need at Big Sky Park. The book is sturdy and have a special cute handle so that kids can take it anywhere outside and consult when needed. At the end of the book, a little one gets special Ranger's Badge. Besides books and toys, young children can also enjoy a set of DVDs available on Amazon.ca. One of them Teddy watched is Ranger Rob: Monkey Business. It includes six adventurous episodes of Ranger Rob and his best friends. Monkeys keep them busy from the beginning to the end of the stories. Rob and his team do not only play but always ready to rescue and be helpful. When baby monkeys get in trouble in the Jungle, the team comes fast to help. Ranger Rob and his friends are also visit animal sanctuary and build a fort in Big Sky Park thanks to Rob parents who are both park rangers too. Ranger Rob is fun show to watch for children. I found it can show and explain many nature wonders and facts I had hard time to explain, for example why plants grow that way or why animals eat only that type of food. 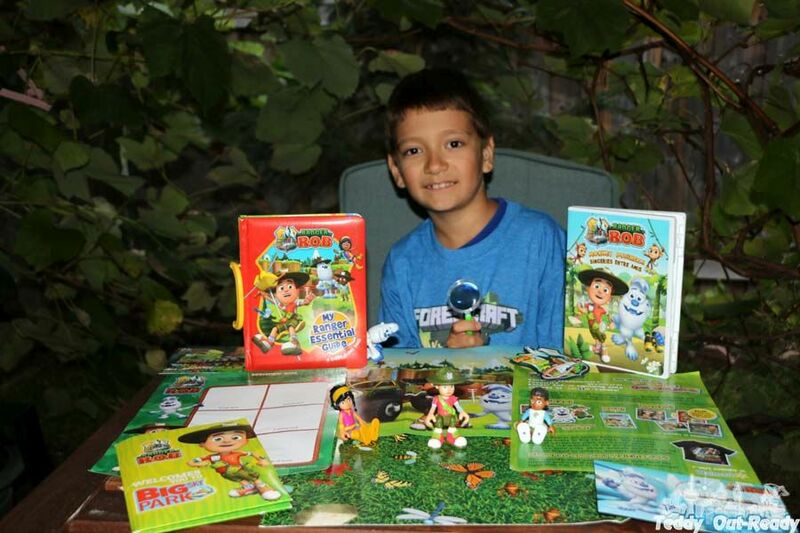 So now kids can take Ranger Rob show toys and play as if they joined adventures in Big Sky Park. Plus more vehicle toys coming soon to the shelves of ToysRUs for kids to play. Ranger Rob episodes airs Weekday mornings at 5:10 a.m. and 7:40 a.m., weeknights at 6:10 p.m. and 10:00 p.m., and Weekends at 5:10 a.m. and 12:40 p.m. on Treehouse. It is also available on the Treehouse Go app!